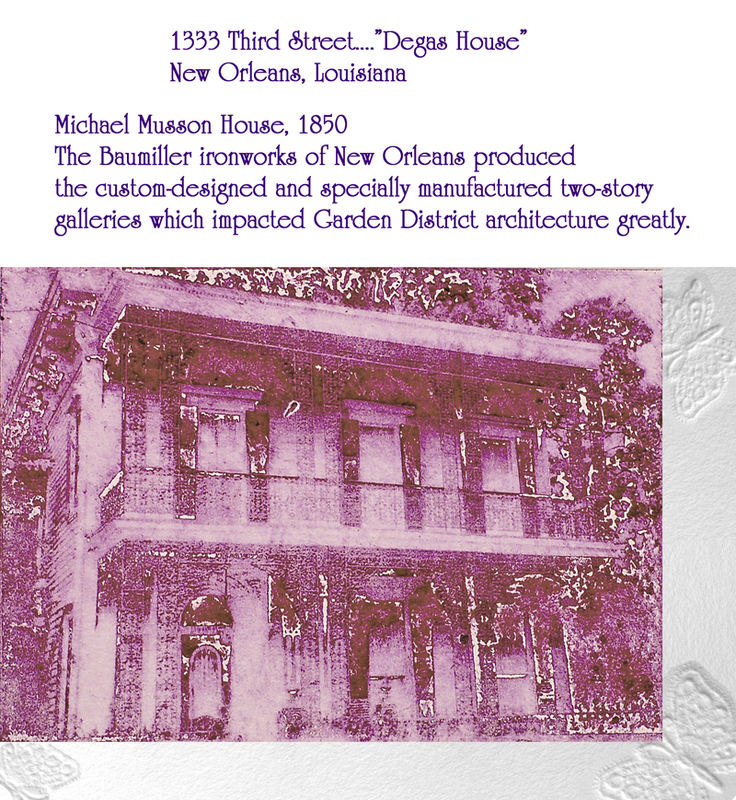 "Southern Splendor: The Garden District of New Orleans" featured artist, A Work of Art Gallery, Madisonville, Louisiana, January 2010 - Present. 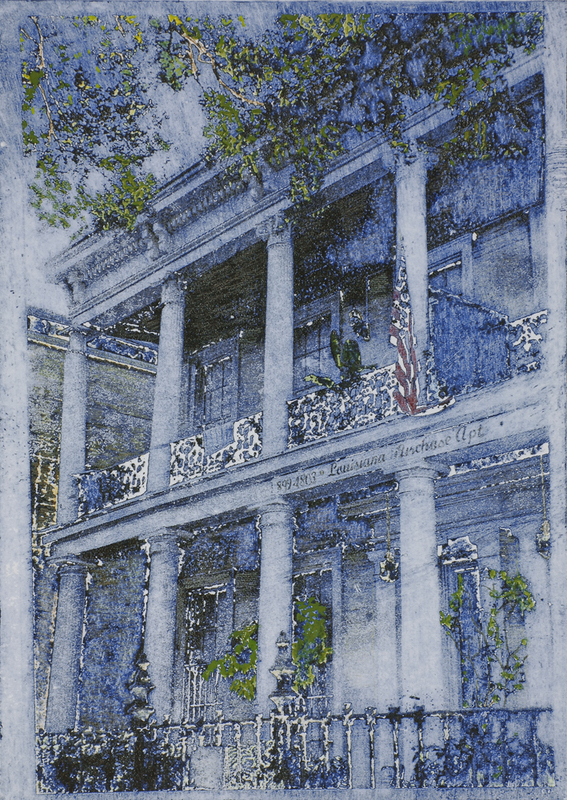 "Southern Splendor: The Garden District of New Orleans" featured artist, A Work of Art Gallery, New Orleans, Louisiana, December 2008 - December 2009. ATIM'S Top 60™ Masters of Contemporary Art! artists operating in the world today: the ATIM'S Top 60™ Masters of Contemporary Art! Each year, featuring 60 incredible artists, from around the globe, this publication offers readers inspiration from the best of the best in the contemporary art world. a broad range of artistic forms. Over the years many internationally renowned artists have been showcased in the pages of this state-of-the-art publication. Congratulations to Susan for being one of the 60 honored in 2018. She receieved the Sculpture Award "Flying High" on May 28th, in New York City. A magnificent angel created for our awarded artists in porcelain and 24K Italian Gold. 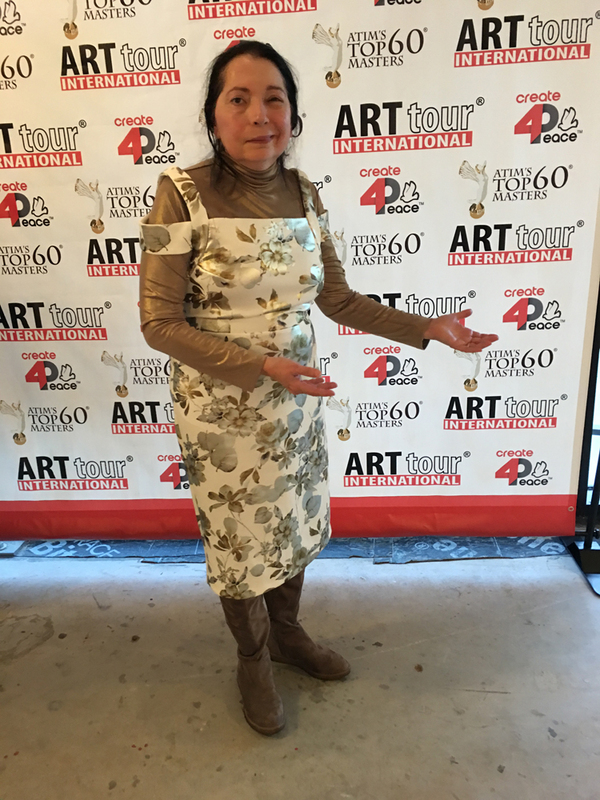 Editor in Chief of the ArtTour International Magazine and curator of the ATIM's Top 60 Masters of Contemporary Art publication. The elegant, stunning sculpture is entitled "Rising Above". It is a 25-cm angel-like figure with magnificent open wings and extended arms. BORDERS festival, curated by Luca Curci and Andrea Chinellato, will be presented inVenice at Palazzo Ca’ Zanardi, Venice Art House, and other prestigious venues and historical buildings, in the months between May and November 2016, in the same period of the 15th Venice Architecture Biennale. The openings of BORDERS festival will be on May 28, 2016 at Venice Art House Gallery inVenice, starting from 06:00 PM (free entry); on May 29, 2016 at Palazzo Ca’ Zanardi inVenice, starting from 06:00 PM (free entry). Artisans from the area displayed and sold their handmade items in the event hall. Susan's art was extremely well received by the dining public, who also enjoyed brunch while browsing. 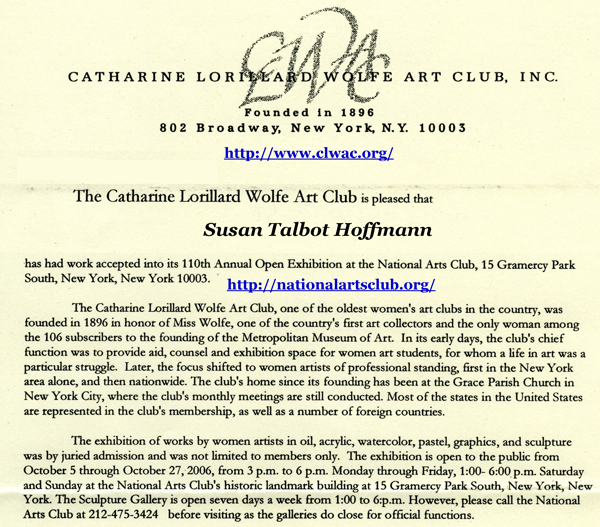 Catherine Lorillard Wolfe Art Club 2015 Members' Show. The awards will be given at an Awards Ceremony at the Salmugundi Club on June 19, 2015, beginning at 6:00 PM. I hope that you will be able to attend. Please let me know either by email, text, or phone. 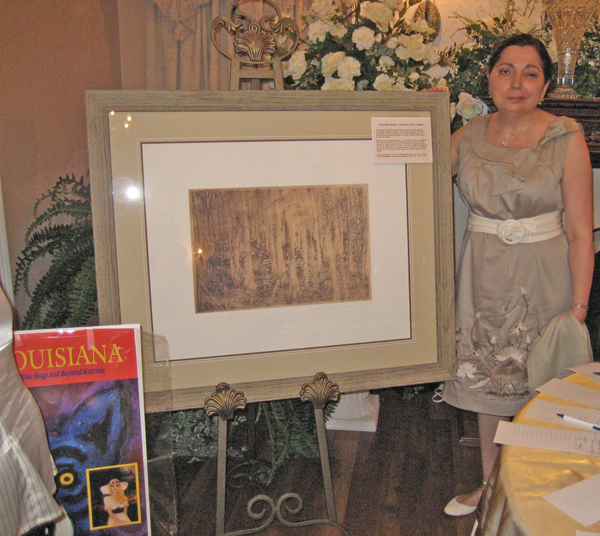 Published: Saturday, February 16, 2013 at 10:34 p.m.
Last Modified: Saturday, February 16, 2013 at 10:34 p.m.
Susan Talbot Hoffman, a Thibodaux artist, has pulled inspiration from her childhood to produce her latest paintings. Her exhibit, called “Jardin Potager,” highlights a mother-daughter legacy through several watercolor paintings with accompanying recipes from Hoffman’s and her mother’s kitchen. Jardin Potager will be on display at in a bimonthly local-artist exhibit starting at 2 p.m. today at Southdown Plantation-Terrebonne Museum, 1208 Museum Drive in Houma. 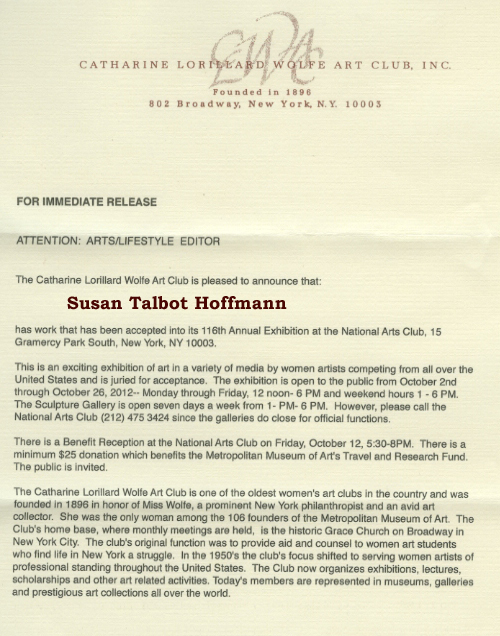 “We are proud to exhibit the work of Susan Talbot Hoffmann,” said Rachel Cherry, director of the museum. Hoffman has also created note cards, depicting her prints, as well as a recipe box containing all 50 recipes in her collection. Framed originals are on sale at Southdown Plantation. Prices range from $150 to $300. 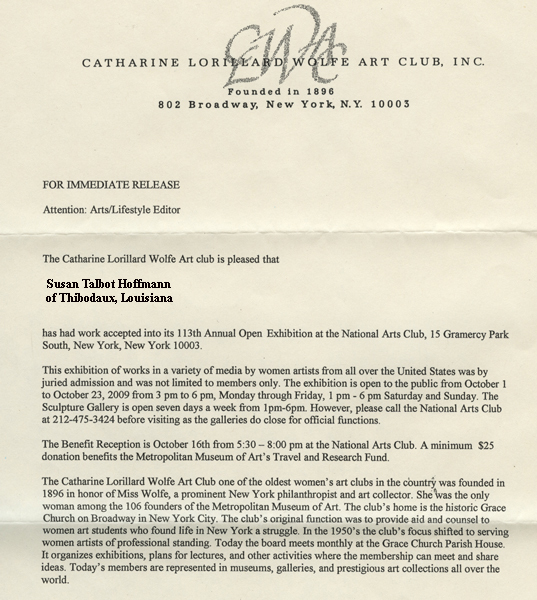 For information, visit susantalbothoffmann.com or southdownmuseum.org. 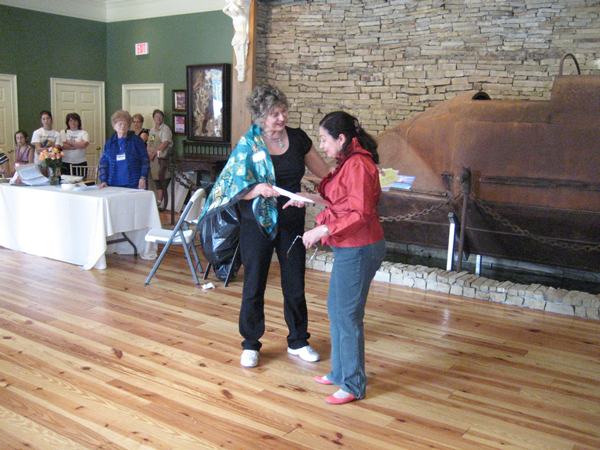 You can also call 851-0154.
at the openning reception, Sunday, February 17th, 2013. 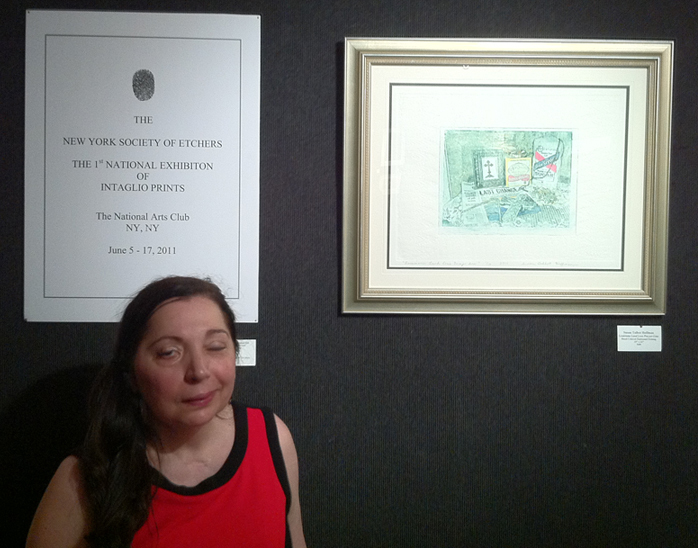 2nd National Intaglio Print Exhibition, The New York Society of Etchers, Inc., National Arts Club (New York, New York) April - May 2012. 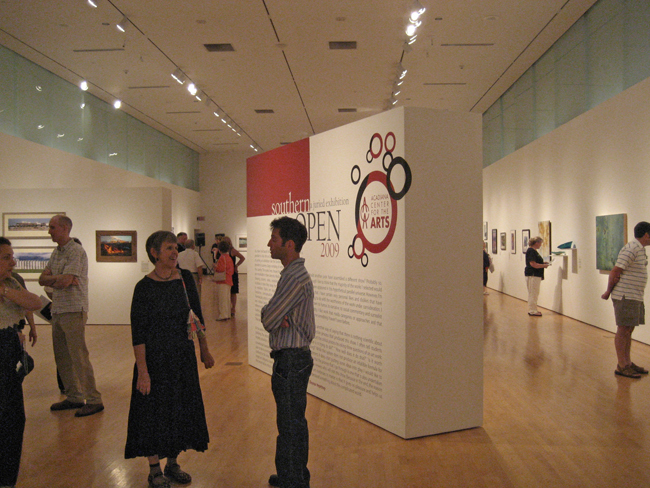 Fourth Annual Juried Art Exhibition, Texas A & M Museum Center Forsyth Center Galleries (College Station, Texas) April 21 - August 19, 2012. 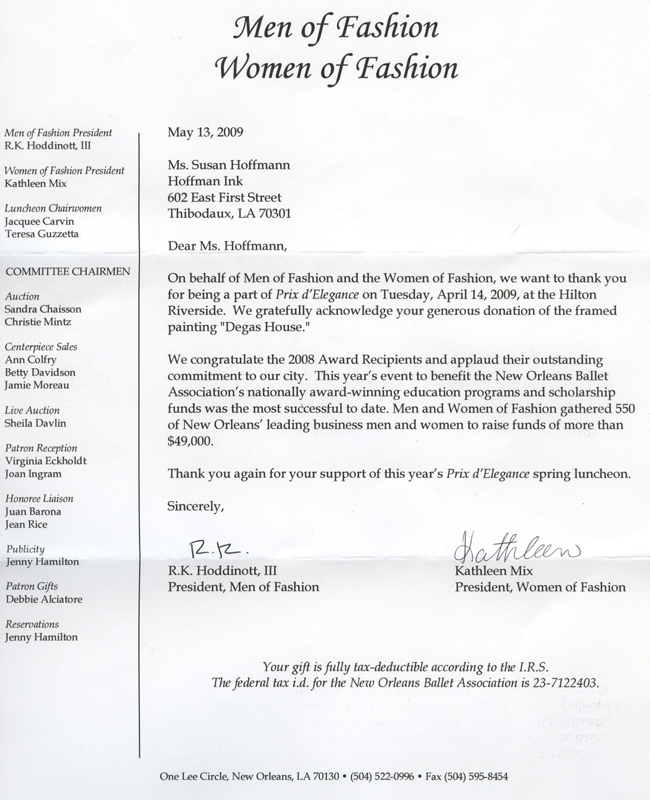 Having been asked now for the 3rd year running to donate artwork to a fundraiser for The Louisiana Center for Women and Government (headquartered at Nicholls State University, Thibodaux), Nationally Acclaimed artist Susan Talbot Hoffmann graciously did so & once again garnered top dollar for the cause. 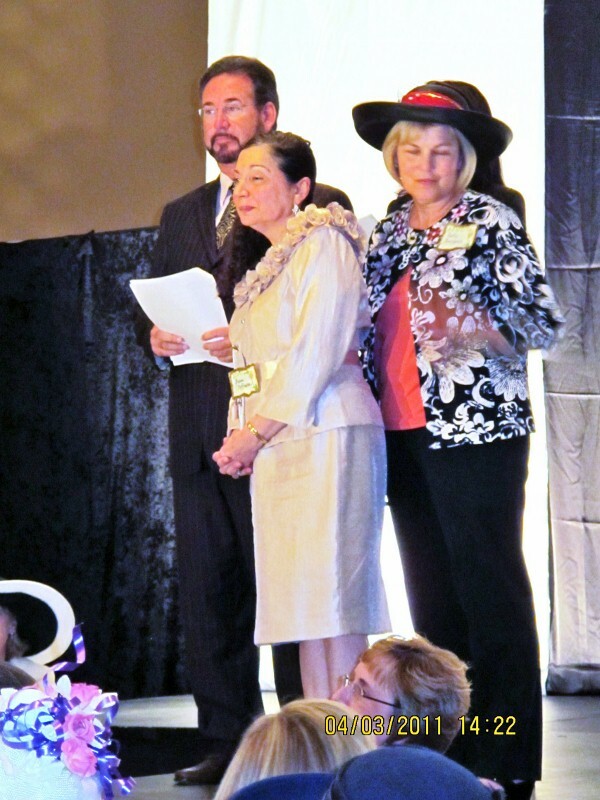 This glittering gala was held on Saturday, Oct. 29, 2011,at the Hyatt Regency in New Orleans. Headlining the celebrity guest list was Mario Lopez, “Dancing with the Stars” finalist and host of “America’s Best Dance Crew.” Appropriately enough, Susan donated two hand colored, embossed, photo etchings, depicting two icons of the New Orleans Garden District neighborhood: Louisiana Purchase Apartments & John Turpin's House...both on the famed Magazine Street. 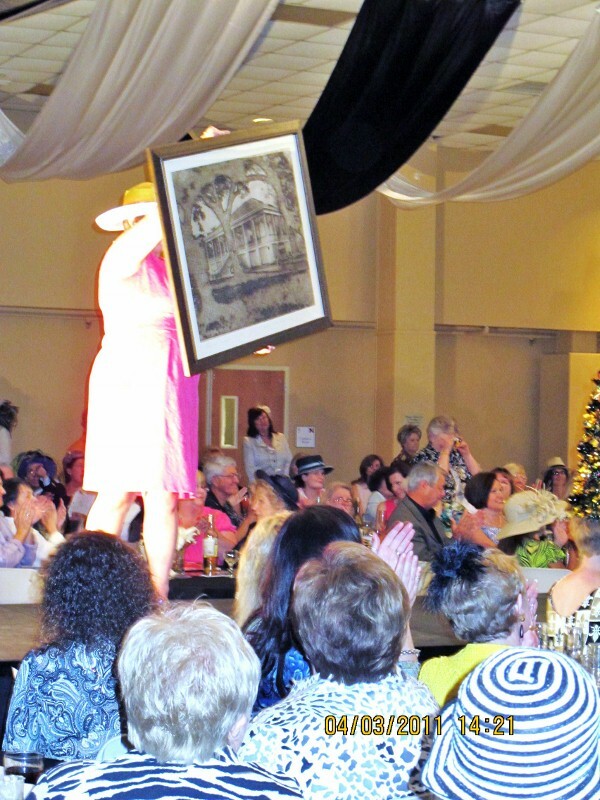 Susan's artwork was auctioned off by Dianne Breaux, Exec. VP of Breaux Mart & The Honorable Eric Skrmetta, LA Public Service Commissioner. 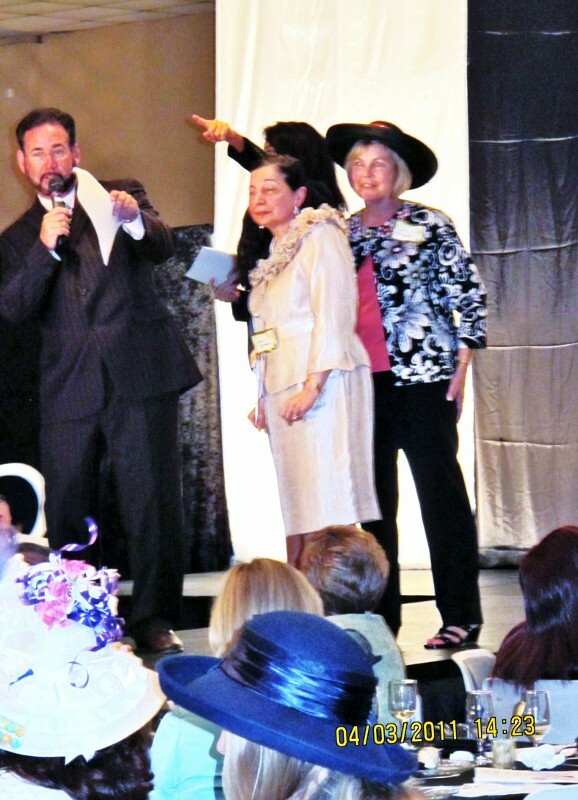 Exemplifying her generosity, Susan gave each of the attendees art reproduction note card mementoes of the Louisiana Purchase Apartments, a gesture that tickled the crowd. attracts notice of 10,000 visitors to the National Arts Club. Louisiana Watercolor Society Juried Member Show, St. Tammany Art Association (Covington, Louisiana) December 8, 2010 - January 1, 2011. 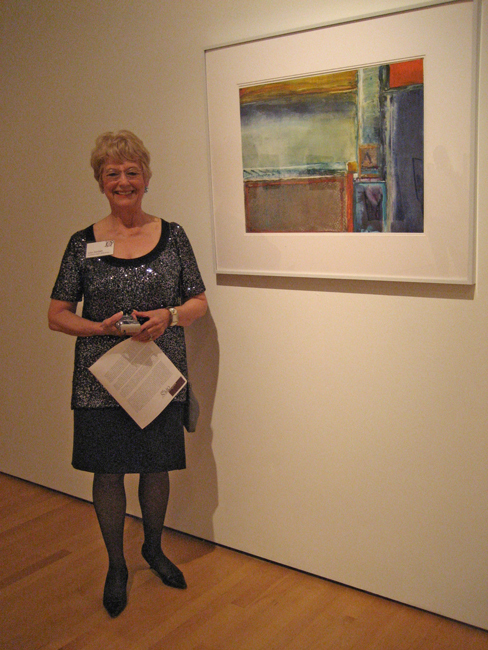 Louisiana Watercolor Society Juried Members Show, Fielding Gallery (Covington, Louisiana) November 8 - December 9, 2011. 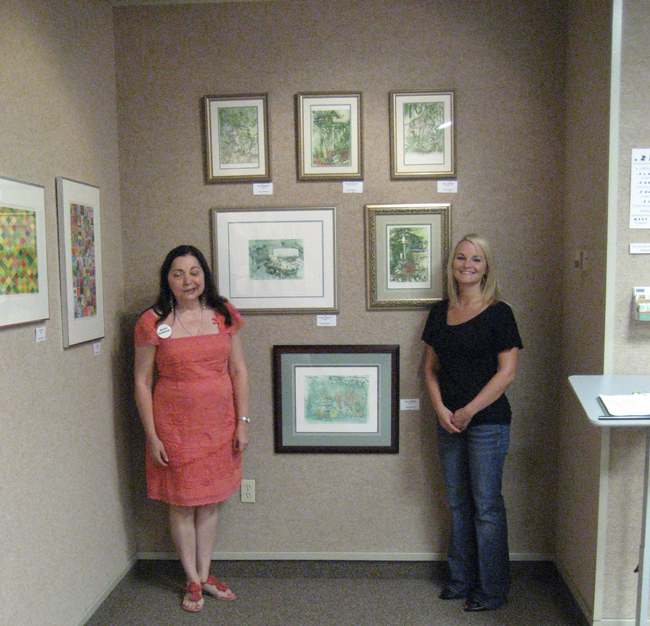 Deep South Juried Print Exhibition Hammond Regional Arts Center (Hammond, Louisiana) September 3 - 30, 2010. American Color Print Society 72nd Members Exhibition, Cheltenham Center for the Arts (Philadelphia, Pennsylvania) October 24 - November 20, 2010. 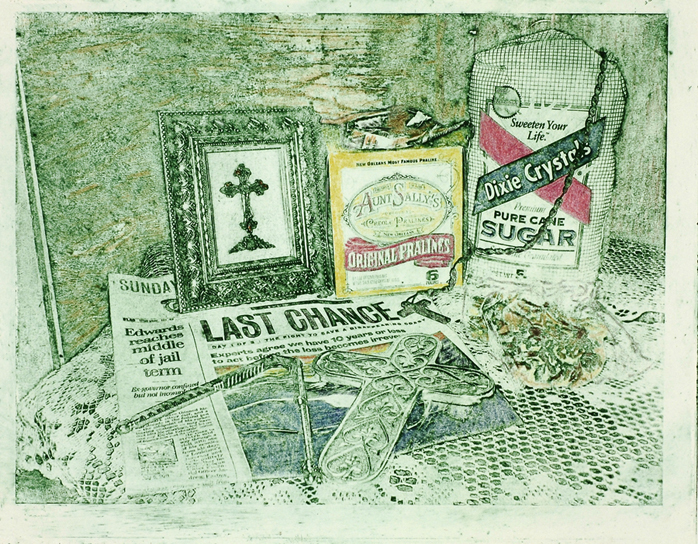 PRINT SHOW, Louisiana Artworks, New Orleans, Louisiana, April 9 - May 9, 2010. 71st National Open Print Exhibition "Beyond Color" the Plastic Club, Philadelphia, Pennsylvania, March 7 - 28, 2010. 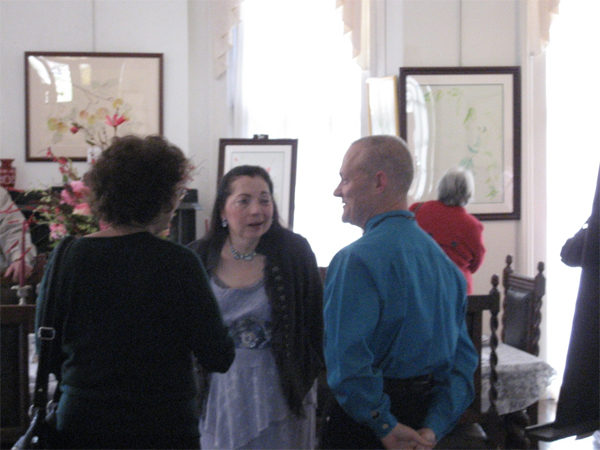 72nd Members Exhibition, Chestnut Hill Gallery, Philadelphia, Pennsylvania, March 6 - 23, 2010. The Art Melt 2010 The largest multi-media, juried exhibit in the state of Louisiana, helping to promote professional artists within the Greater Baton Rouge community. The event showcases the high quality and variety of local artistic talent, and provides a venue for these artists to receive professional exposure. 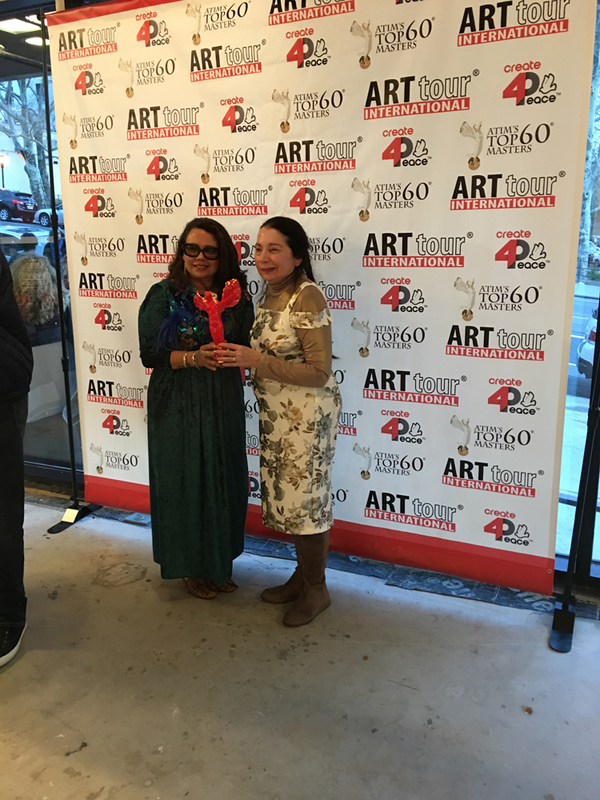 The event also receives support and participation from downtown galleries and merchants, and is attended by both artists and art collectors across the region. 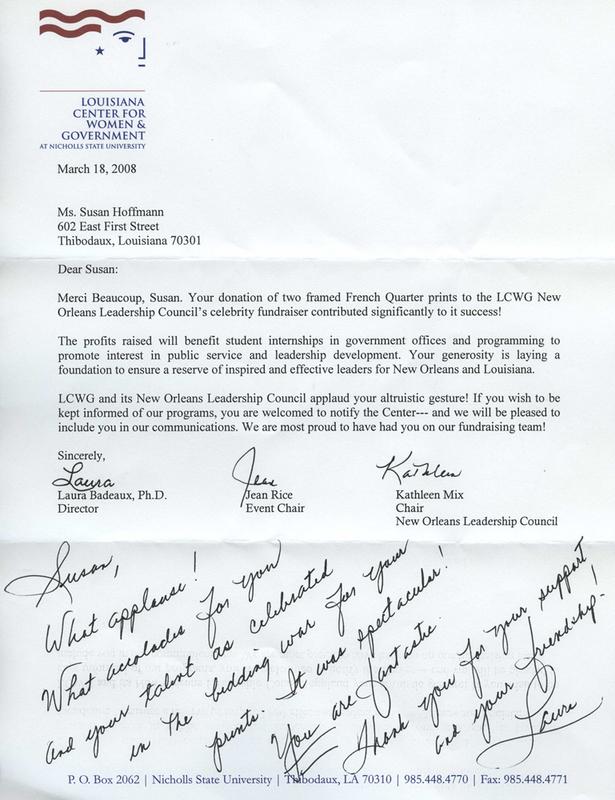 In addition, a partnership formed between Forum 35 and the Louisiana State Museum will provide expanded opportunities to promote the Art Melt throughout the arts community and Louisiana State Museum programming. 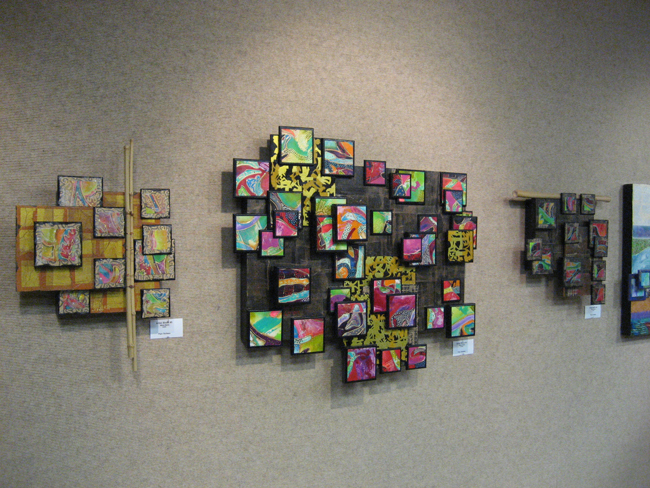 The works selected for Art Melt 2010 will hang in the Louisiana State Museum in for six weeks, July 16th – August 28th. 23" x 22" x 2"
Susan Talbot Hoffmann & Dan Junot, both Thibodaux, Louisiana artists selected to exhibit work in Art Melt 2010. 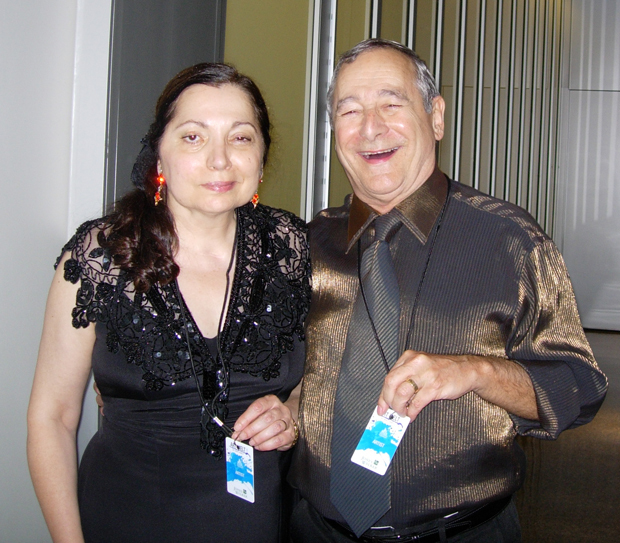 Here they are at the preview party July 15, 2010 at the Louisiana State Museum in Baton Rouge. 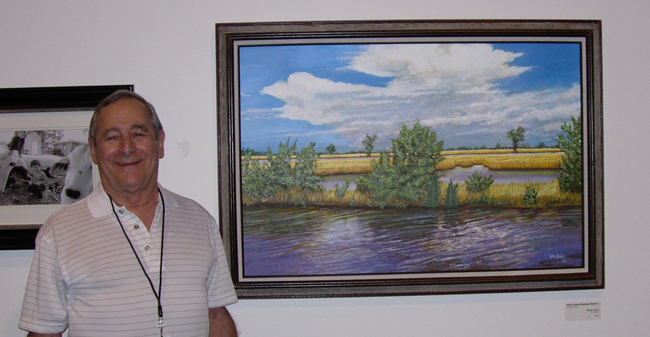 Dan Junot next to his accepted submission "Mardi Gras Marshes"
Art Gallery, Baton Rouge, Louisiana, April 17 - May 15. 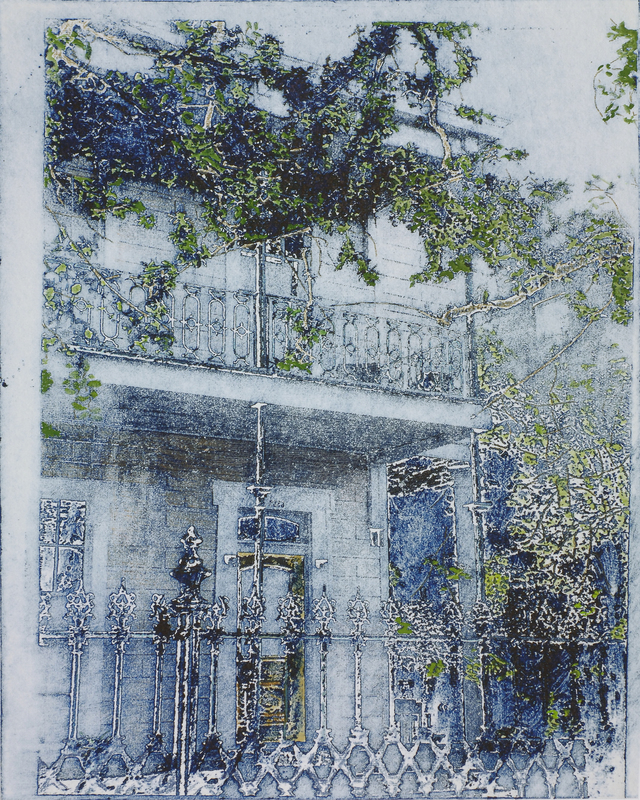 American Color Print Society 68th Members Exhibition, Villanova University, May 29 – July 23. 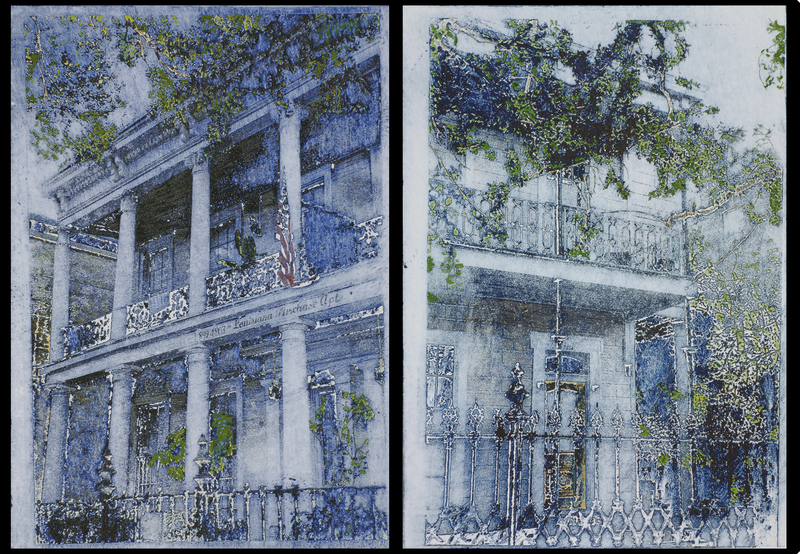 Capital Waters: Art at the Archives – Louisiana Watercolor Society spring member show, Louisiana State Archives (Baton Rouge, LA) April 1-30. 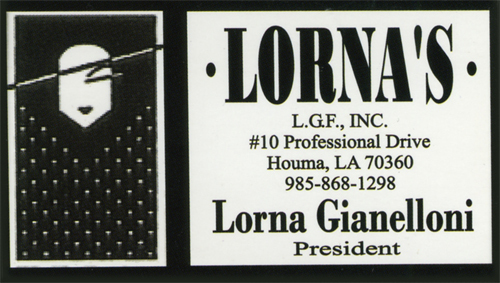 Acadiana Center for the Arts (Lafayette, LA) May 9 – July 25. Entrance to the exhibit- I'm one of 60 artists from a five state area out of 900 submitting selected for inclusion in the 2009 Southern Open Exhibition. Foreground: Friends Deb Johnson, Randy Talbot and Susan Talbot Hoffmann mingle amid the thousands of art fans at the Brunner Gallery for the Art Melt. 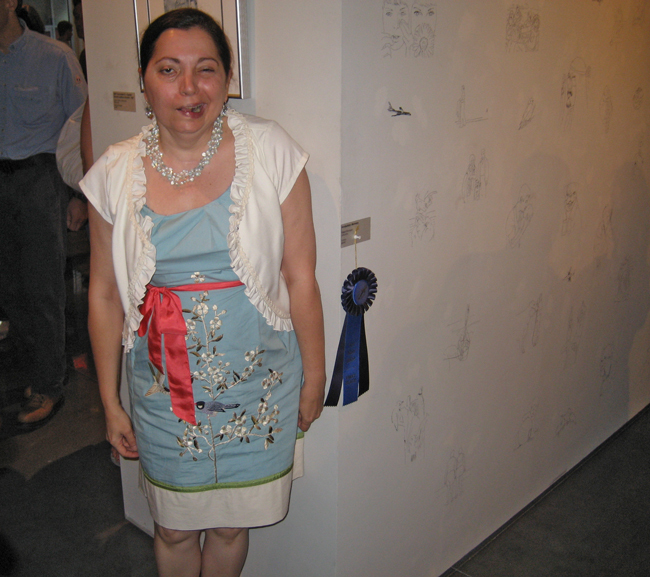 The blue ribbon was just inches from my artwork!!!! "It should have been yours, Sue." 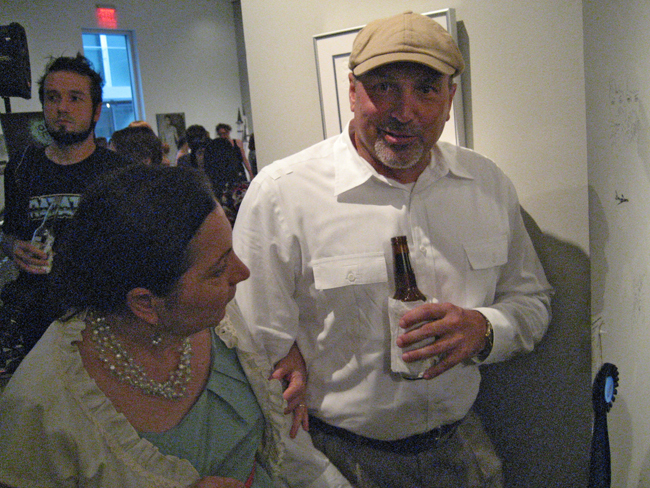 confides my brother, Randy Talbot at the Art Melt reception at the Brunner Gallery. 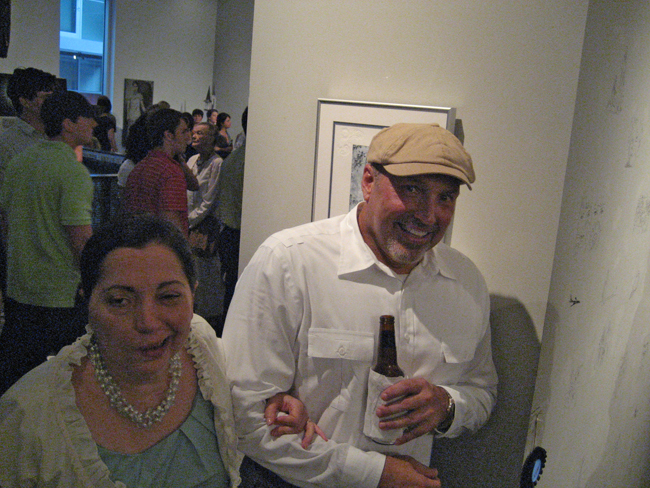 Dan Cameron, juror for the Art Melt was also the juror for the recent citywide art show in New Orleans, Prospect 1. "2 each. 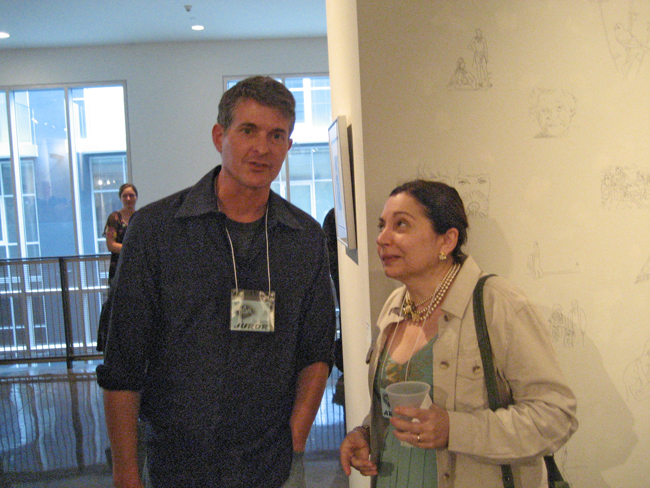 A group show" Louisiana State Archives (Baton Rouge, LA) August 4 – 31, 2009. 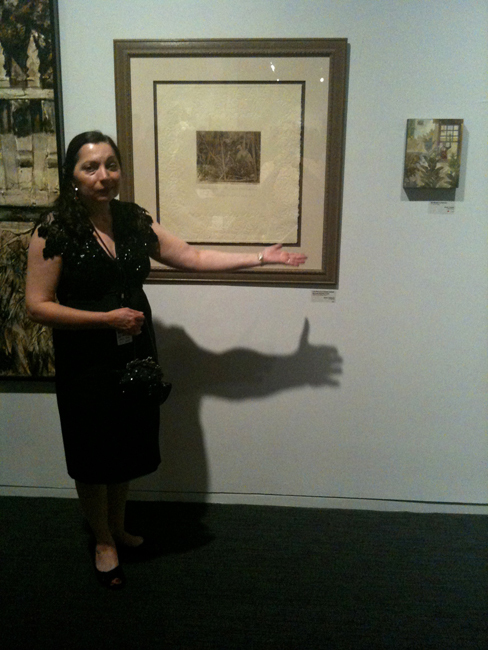 Susan (with niece Randi Lyne Talbot Naquin) displaying her Louisiana Vignette etchings. 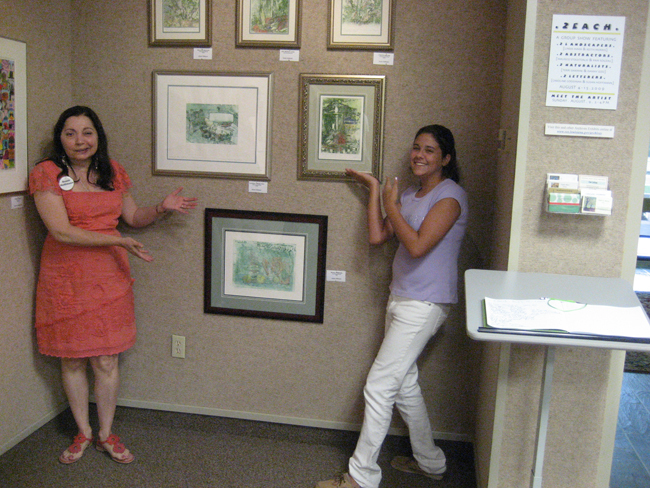 Susan (with niece Katie Hoffmann) displaying her Louisiana Vignette etchings. 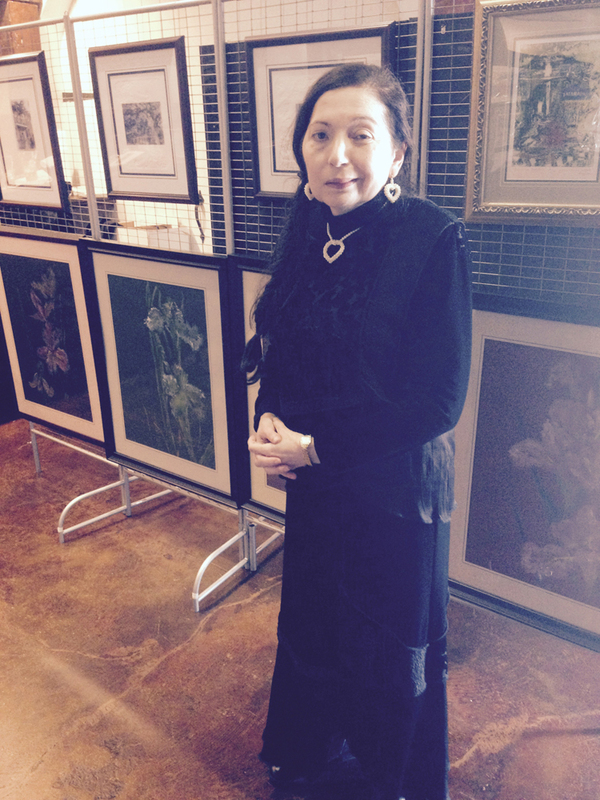 Another artist showing at the Archives was Pam Soileu, an abstractor from Baton Rouge, Louisiana. Shown is her "Artist Block" series. American Color Print Society, Free Library of Philadelphia, Philadelphia, Pennsylvania, July 11- September 8, 2008. American Color Print Society 65th Exhibition, Chestnut Hill Gallery, Philadelphia, Pennsylvania, April 1- April 26, 2008. 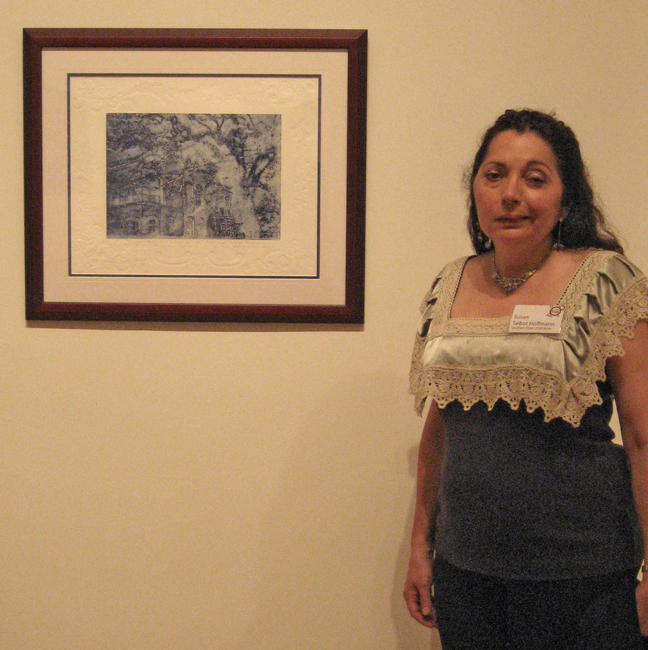 The 35th Annual Juried Competition, Masur Museum of Art (Monroe, Louisiana) March 9-April 26, 2008. Capital Waters: Art at the Archives- Louisiana Watercolor Society member show, Louisiana State Archives, Baton Rouge, Louisiana, March 1-31, 2008. 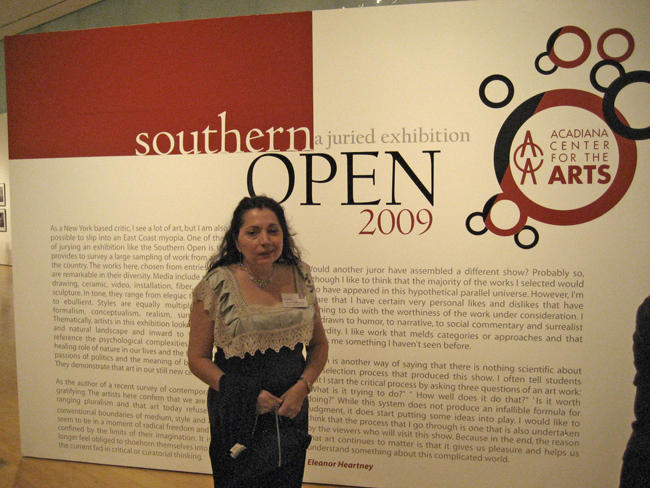 2007 Southern Open Exhibition, Acadiana Center for the Arts (Lafayette, Louisiana) May 12-July 28, 2007. 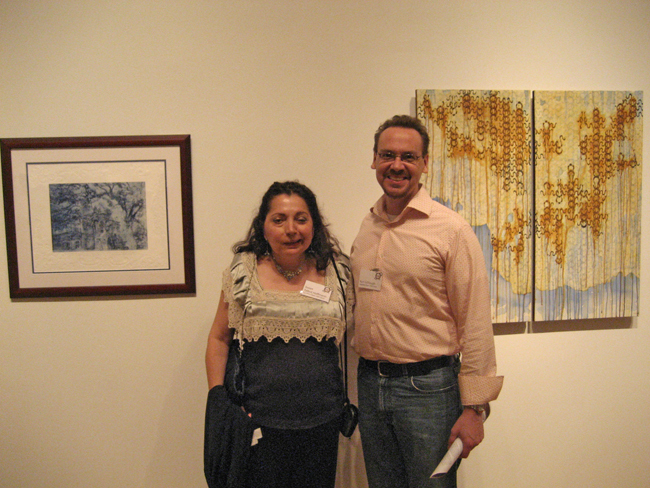 The 34th Annual Juried Competition, Masur Museum of Art (Monroe, Louisiana) March 11-April 28, 2007. The Eleventh Annual Cajun/Zydeco Music and Dance Exhibit, Ellender Memorial Library Art Exhibit, Nicholls State University (Thibodaux, Louisiana) March 14-April 28, 2007. Capitol Waters: Art at the Archives- Louisiana Watercolor Society member show, Louisiana State Archives, Baton Rouge, Louisiana March 1-30, 2007. American Color Print Society: 64th Member’s Exhibition, Plastic Club, Philadelphia, November 4-21, 2007. 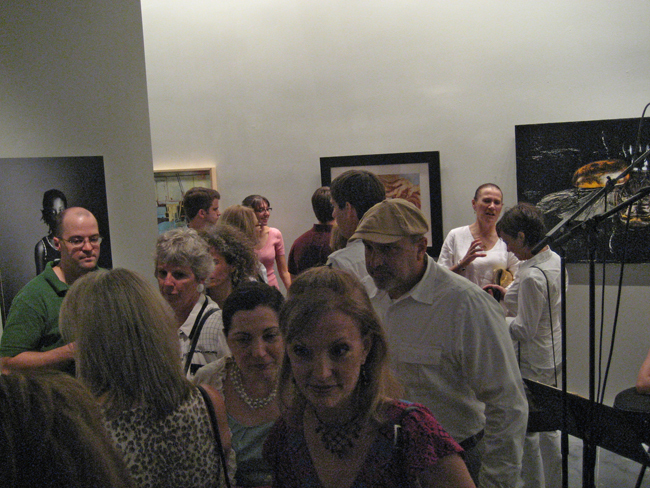 Louisiana Watercolor Society Juried Member Show, Beauregard Gallery & Bistro, Baton Rouge, Louisiana, November 1-30, 2007. 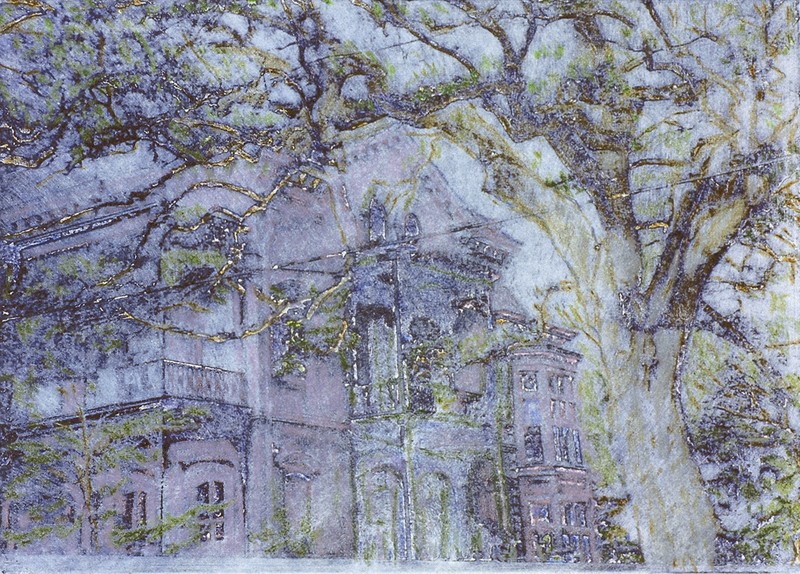 “Images of Southdown” Juried Exhibit of artworks depicting Southdown Plantation, Southdown Plantation House/ Terrebonne Museum, Houma, Louisiana, June-July 2007. 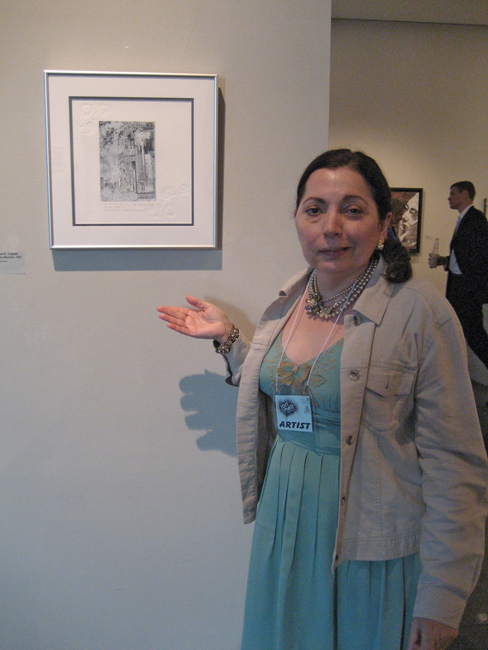 American Color Print Society: 63rd National Open Print Exhibition, Cheltenham Art Center, Philadelphia, Pennsylvania, June 10-June 29, 2007. Myths and Monsters Kappa Pi Honorary Art Society Exhibition, Nicholls State University Art Gallery (Thibodaux, Louisiana) January 18-February 3 and Jean Lafitte Acadian Wetlands Center March 15 to April 28, 2006. The Art of Printmaking, An Exhibition of Prints by Members of the American Color Print Society and the Printmaker’s Network of Southern New England (Newport, RI) June 3-July 30, 2006. University of New Mexico - Los Alamos/New Mexico Printmakers Exhibition "Hand Prints II" Invitational (Santa Fe, New Mexico) May 3 - July 1, 2006. Alliance Gallery (Albuquerque, NM) November18-December 13 2005. 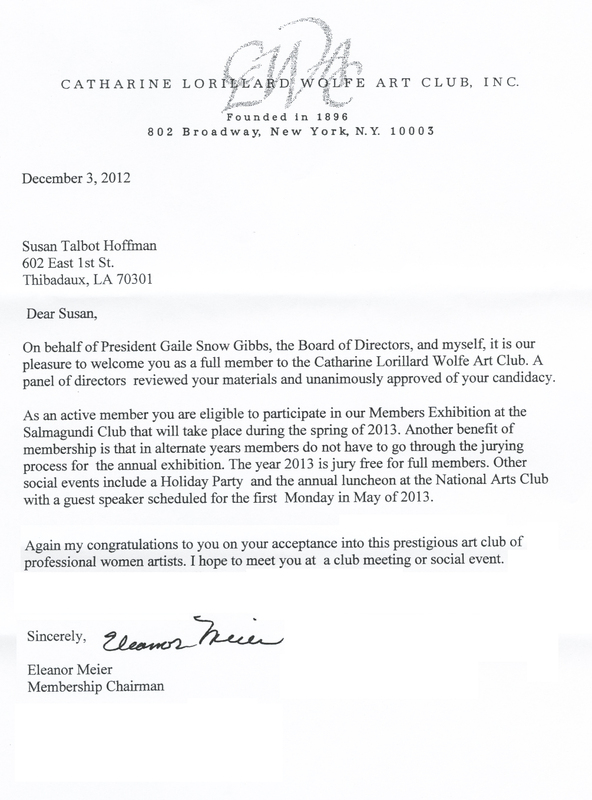 I am very happy to inform you that our members have viewed your work and accepted you as our newest member. I am enclosing our new directory. A member's show is being scheduled for the latter part of 2003. 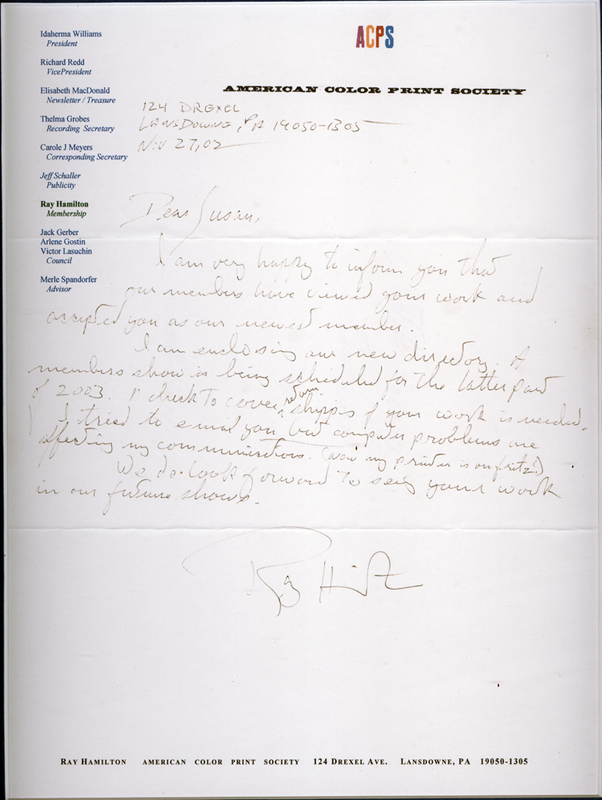 A check to cover return shipments of your work is needed. 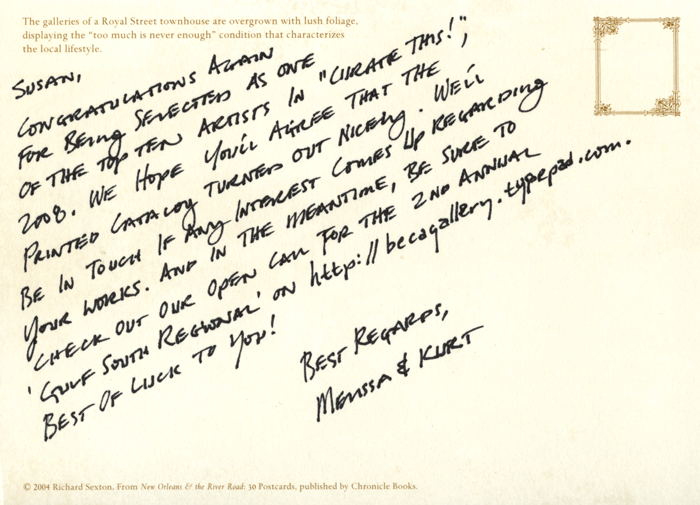 We do look forward to seeing your work in our future shows. 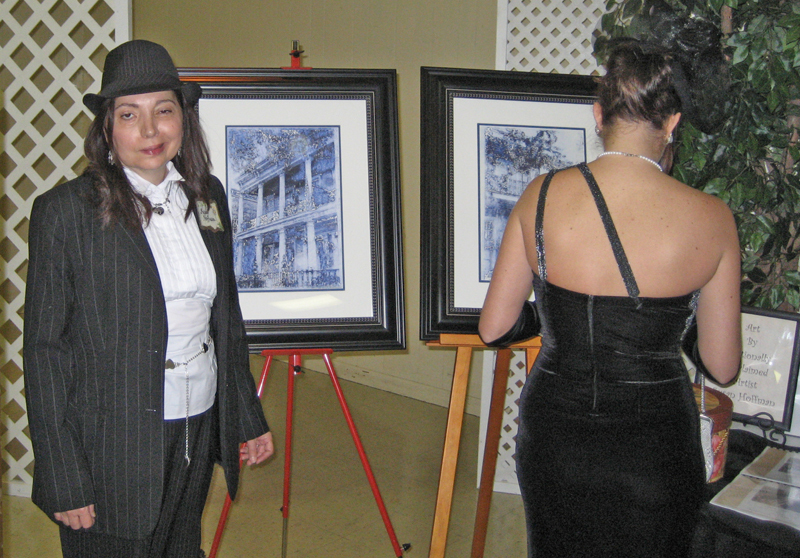 The artist at the Louisiana Center for Women & Government, New Orleans Leadership Council's celebrity fundraiser. 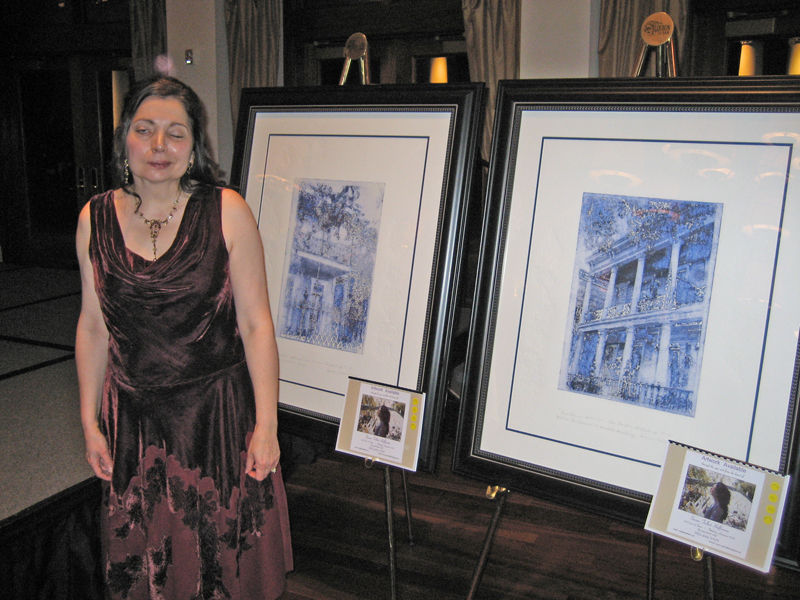 Susan is standing before two of her "Garden District" prints, which she donated to assist the LCWG in their fund raising efforts. 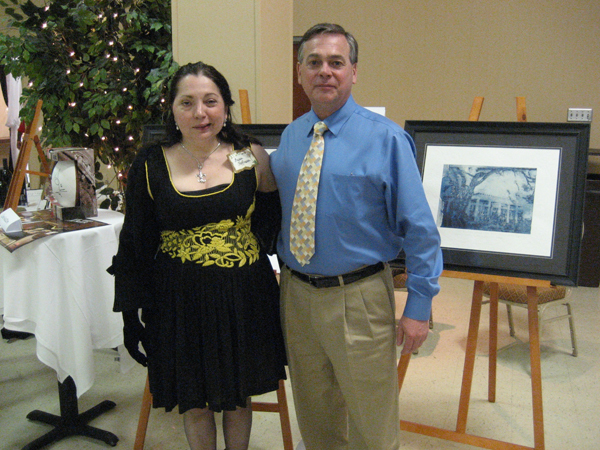 The artist at the Thibodaux, Louisiana Chapter of the Mad Hatters, during their 14th Annual "All Glamour & Glitz" fund raiser for local charities. Also pictured is one of the many patrons who bid on Susan's "Garden District" prints, which were offered to the club to assist their fund raising efforts. Artist donated this print to a fundraiser for Hope For Animals. It brought in the 2nd highest bid level of the evening. 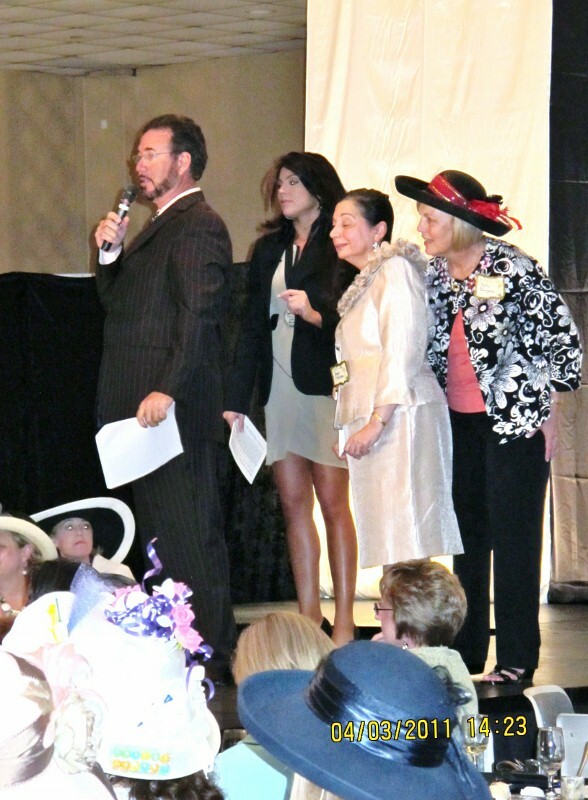 The prints of the Garden District were the top fundraiser's of the event! Pictured Left: Andrew and Susan Hoffmann standing next to Colonel Short's Italianate Villa. Pictured Right: Susan Hoffmann & event patron standing next to Grocer John Adams Baronial Cottage. 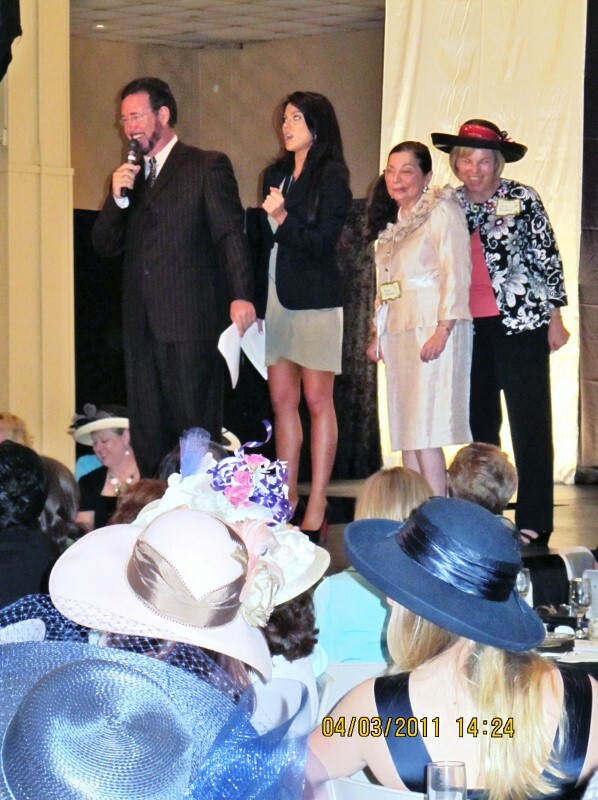 Local TV personality Martin Folse was the auctioneer. 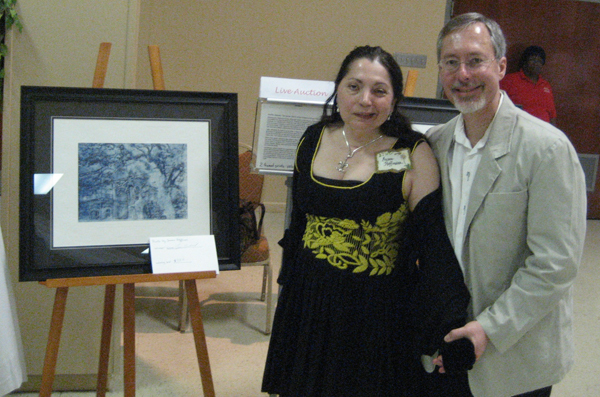 Florida Printmakers, Un iv. of Miami, Coral Gables.